There are two peroneal tendons that run side by side and are located behind the outer ankle bone. One of the tendons attaches to the outer part of the midfoot and the other tendon runs under the foot and attaches near the inside of the arch. The tendons act like stabilizers for your feet and prevent ankle sprains from occurring. Patients with peroneal tendonitis often complain of pain and, occasionally, swelling in the outside and back (posterolateral) part of the ankle This tends to be a chronic condition, so there is often no precipitating event. 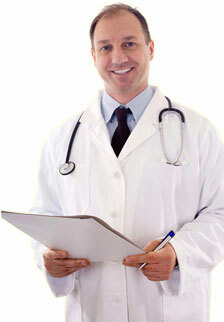 However, sometimes patients will report an activity that aggravated their symptoms. Certain types of high impact sports such as football can trigger the symptoms. The peroneal tendons run behind the prominent bone on the outside of the ankle. There are two tendons, the peroneus brevis and peroneus longs. These tendons help to control the position of the foot during walking. They also responsible for the muscle contraction that moves the foot out to the side (eversion of the foot). Peroneal tendonitis is an irritation to the peroneal tendons. Essentially, the tendons are repetitively overloaded and the subsequent inflammatory response (attempt at healing) creates pain and discomfort. Peroneal tendon injuries primarily occur in sports men and women due to the increase of ankle motion during running. The injury can be acute and involve a sudden sharp pain, or it can be chronic which would involve persistent damage to the tendons. Individuals with an excessively low or high arch are at greater risk of this injury. There are three main types of injuries associated with peroneal tendonitis. The 1st is inflammation of one or both of the tendons causes by repetitive overuse or ankle sprains. The patient will experience pain; swelling and the area could be discoloured. The 2nd is acute tears which are also caused by repetitive activity such as running. However the pain associated with this type of injury will be severe and may result in substantial swelling. This can also result in the patient having an unstable ankle joint which can result in secondary ankle sprains. Thirdly degenerative tears which are also known as tendonosis are usually due to overuse and occur over long periods of time. The sustained damage to the tendon fibers causes the tendon to fray which can lead to intermittent pain on the outside of the ankle. This can result in general weakness of the ankle joint and an increase in the height of the foot arch. Other injuries include subluxation (when the tendon slips out of positions). 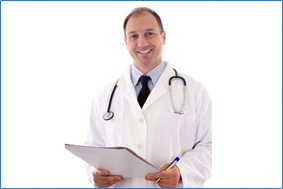 An MRI scan and correct clinical diagnosis will shape the type of treatment required. Often a peroneal tendon injury is confused with a simple ankle sprain. Immobilization. A cast or splint may be used to prevent movement of the ankle to allow the tendon to heal. Medications. Anti-inflammatory medication may be prescribed by the Doctor to help relieve the pain and inflammation. Physical therapy. The use of contrasting heat and ice alongside ultrasound may be used to reduce inflammation. Once the condition is improving then gentle exercise will be necessary to gradually improve the range of motion. Bracing. The surgeon may provide a brace to use for a short while or during activities requiring repetitive ankle motion. Surgery. In some cases, surgery may be needed to repair the tendon. Orthotics. Prevention before and after such an injury is essential. 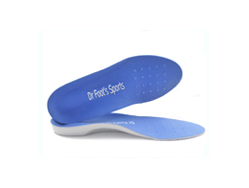 If you have excessively low or high arches or are prone to ankle sprains then orthotics such as the Dr Foot Sports Insoles will help. 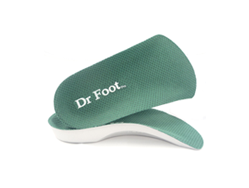 Dr Foot Insoles are engineered to combat over pronation and provide greater stability and maximum support. 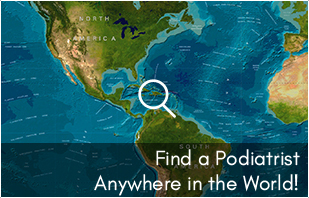 Ideal for patients seeking arch support for prevention and treatment of Peroneal Tendonitis and foot pain such as bunions, ball of the foot pain, flat feet, neuroma, over pronation, heel pain and many other conditions.